SANTA FE – New Mexico’s hunters and anglers spend more than $613 million on their recreational activities and contribute another $51.4 million to the state’s economy in labor, income and taxes, according to a study conducted for the Department of Game and Fish. 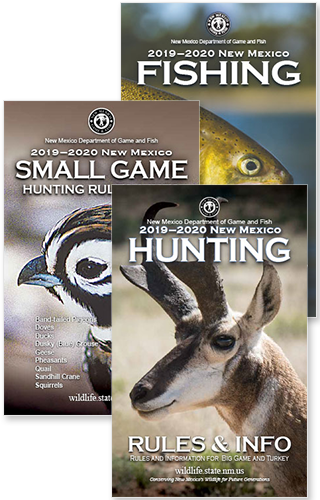 The study by Southwick Associates, specialists in fish and wildlife economics and statistics, was commissioned to determine the amount of participation and subsequent economic impacts hunters and anglers have on New Mexico overall and by county. According to the study, New Mexico has more than 160,000 resident and nonresident anglers who spend $268 million a year on fishing-related activities. The state also has 87,600 hunters who spend $345.5 million a year on hunting-related activities. Hunters and anglers also support more than 7,900 jobs in New Mexico that provide more than $267 million in labor income, according to the study. The estimated state and local revenues generated from these activities is over $51 million annually. The study used license-sale records and survey-based data to estimate economic contributions based on retail spending related to recreational hunting and fishing in the state. The report included individual contributions for each of the state’s 33 counties. The report also included estimated contributions by hunters who pursue selected species. Data was collected from an online survey conducted in April and May of 2014 and sent to all hunting and fishing license buyers who provided an email address at purchase. Surveys were delivered to 66,092 license buyers, and 15,379 responded, for a response rate of 23 percent. The complete report by Southwick Associates is available on the Department of Game and Fish website, www.wildlife.state.nm.us.